Beautiful Bride Michelle on her wedding morning. Michelle has gorgeous big eyes so of course we played up that feature. 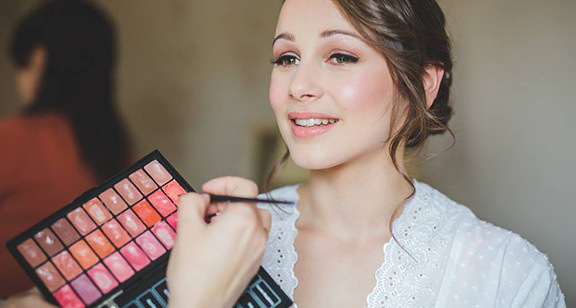 Beautiful sparkle was used from Stila cosmetics and the rest was Bobbi Brown, Makeup Forever and Charlotte Tilbury. 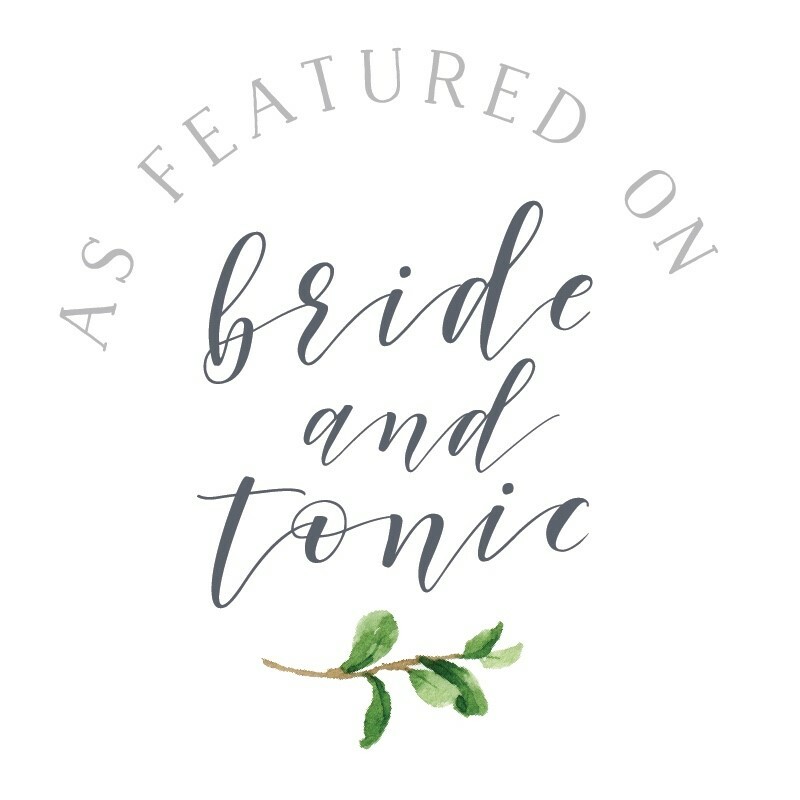 I received a lovely review from Michelle after her wedding day. It makes me very proud to know my clients loved my work and they had an amazing day. 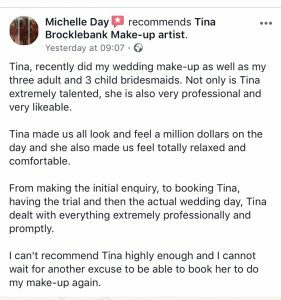 Tina Brocklebank Make-up artist review.